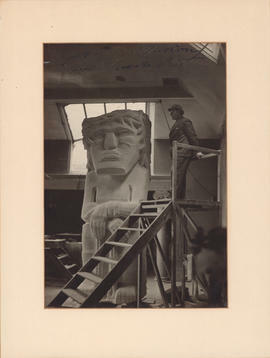 File contains a photograph of the American-British sculptor Jacob Epstein standing beside one of his sculptures. File contains photographs from Nova Scotia Coalition on Federal Culture. 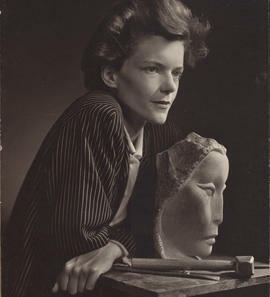 Images include speeches and performance by Cathy Quinn.